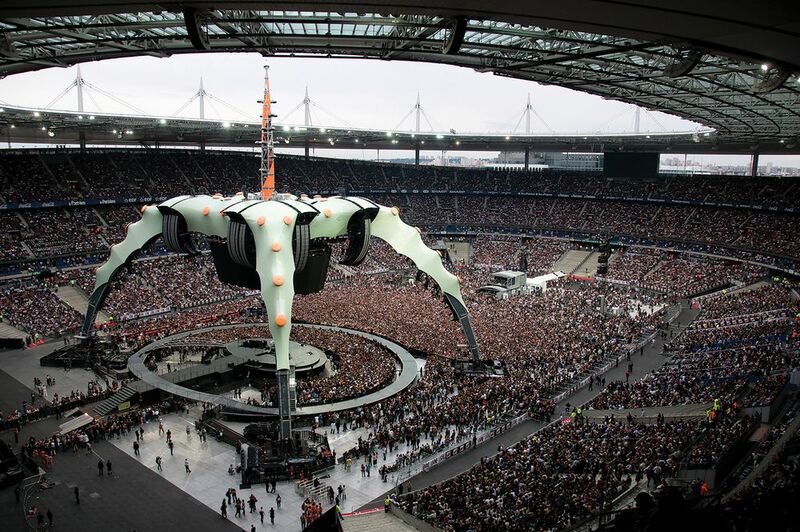 Touring stage set for U2’s 360 Degree Tour. Engineering of a four-legged “giant claw” Stage Structure and Expanding Circular Screen. 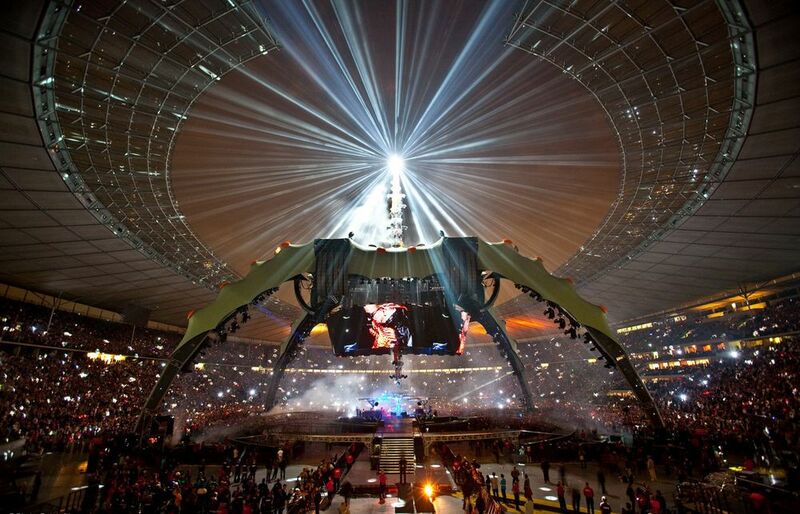 One of the largest structures ever toured - the stage weighs 220 tons. The central grid is raised 28 m high, while a central antenna reaches 51m high. The Stage Structure uses 38 trucks for transportation & takes four days to erect and two days to dismantle.